From hockey player to hospitality executive, Matt Eisler has taken a circuitous path to on-premise success in Chicago. The co-owner of Windy City company Heisler Hospitality operates nine venues in some of the city’s most popular neighborhoods, including Logan Square, Wicker Park and the West Loop. Standing out in those saturated neighborhoods isn’t easy, but Eisler says he’s carved a niche by following his heart and staying committed to the people and the areas in which his venues are located. What started impulsively for the former National Hockey League player has turned into a successful business venture, one that has diversified in recent years from a focus on bars and drinks venues to taverns and food-driven concepts, with more growth planned. Eisler’s business partner, Heisler co-owner Kevin Heisner, is a designer by trade and lends an artistic eye to the company’s venues, both in concept and interior design. He focuses on developing distinct spaces that embrace their history and the materials already in place to create an authentic atmosphere. Some of Heisler’s standout and lauded properties include the cocktail den Sportsman’s Club, the Anglo-Indian, beer-heavy tavern Pub Royale and the New American vegetable-centric restaurant Bad Hunter. 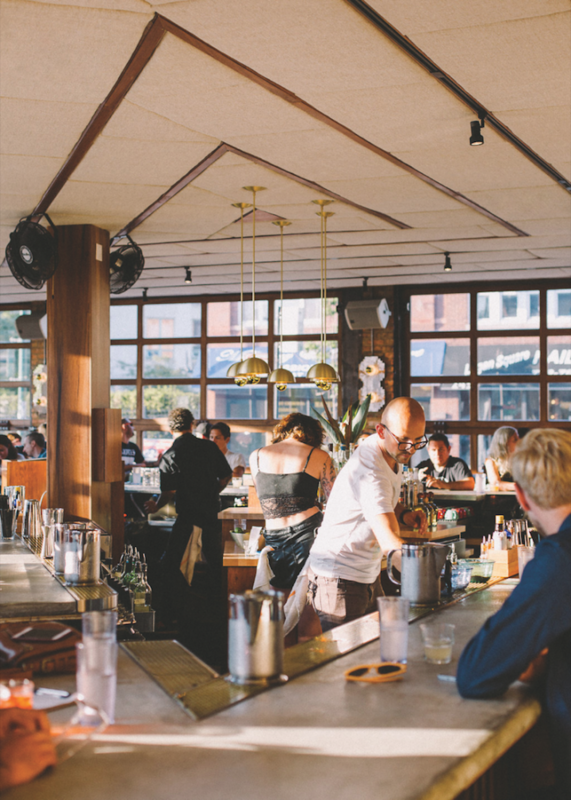 Beverage alcohol is integral to every Heisler concept and drinks sales vary widely at each location, from around 45 percent of sales at some restaurants to 100 percent of sales at a couple of the bars. Sportsman’s Club takes a historical slant. Situated in Chicago’s Ukrainian Village, the venue opened in 2013 in the same location as the original bar of the same name, which was a haven for Polish immigrants in the late 1980s. 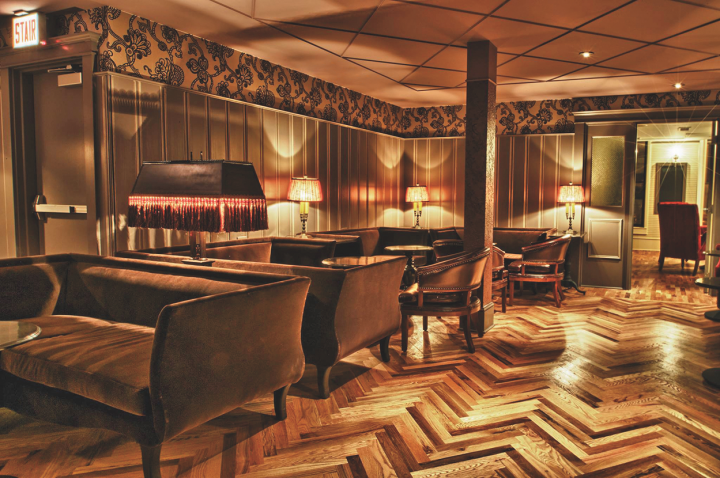 The revamped space boasts an art deco design and the original wooden bar of its predecessor, along with taxidermy accents. In lieu of a traditional drinks menu, Sportsman’s Club offers a daily cocktail list with four options ($10 each) that change every day on the whim of the bartenders on duty. The concept’s primary constant is its eponymous Sportsman’s Cocktail ($8), comprising Very Old Barton Bourbon, Luxardo Bitter aperitif, Zucca Rabarbaro amaro, Angostura Aromatic bitters and Leopold Bros. Absinthe Verte. Sportsman’s Club also has an amaro machine on the bar, pouring shots ($4) and larger 2-ounce pours ($6), as well as a roster of wines ($10 a glass; $35 a 750-ml.) and craft beers ($3 to $9 a draft pour or bottle). For a completely different drinking experience, Heisler’s Latin-themed Estereo offers a bright, Caribbean-inspired atmosphere. 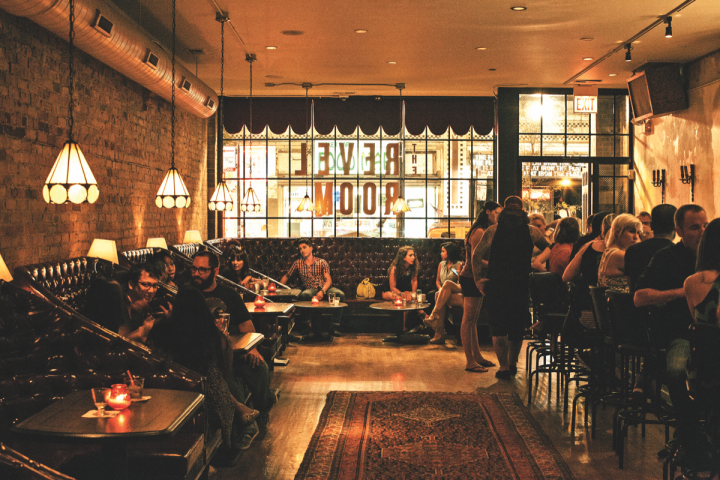 The Logan Square bar highlights Latin spirits, including pisco, cachaça, rhum agricole, Tequila and mezcal. Estereo’s cocktail menu features drinks named for their primary spirit or mixology technique, like the Stirred, made with Intipalka Pisco Acholado, Carpano Bianco vermouth, Dolin Dry vermouth, Suze liqueur and house-made grapefruit bitters (cocktails are $9 to $12). The bar also offers a comprehensive Latin spirits menu ($4 to $15 a 1-ounce pour) and Latin and local craft beers ($4 to $8 a draft pour or can). Further showing its diversity, Heisler’s bar portfolio includes Queen Mary Tavern, a British maritime venue that highlights gin, rum and Scotch; Lone Wolf, a modern pub with a contemporary drinks menu; and Revel Room, a dual-concept space with a classic barroom in the front and an upbeat lounge in the back that hosts DJs. Revel Room’s menu spans updated variations of classic drinks and cocktails on tap ($10). Standouts include the Cool Big Truck, comprising Old Grove gin, Pierre Ferrand Dry Curaçao, Gran Classico Bitter aperitif and lemon juice, and the Grand Inversion, mixed with Denizen Merchant’s Reserve 8-year-old rum, Meletti amaro, lime juice and Demerara sugar. The bar also has an extensive list of canned beers ($3 to $10). Heisler Hospitality’s restaurant roster is as diverse as its bar portfolio. 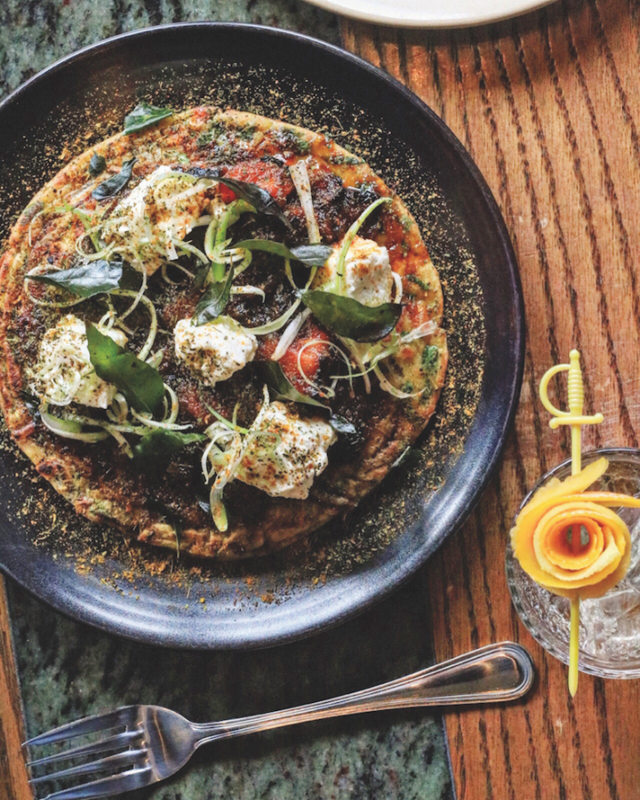 The company operates a British-influenced Indian pub, taverns with New American and upscale bar fare, and a vegetable-focused eatery. Bad Hunter, the veggie-forward restaurant, is Heisler’s newest project, having opened last year. The concept isn’t exclusively vegetarian, as meat is on the menu in a supporting role, but plant-based foods take center stage. Dinner items change regularly, but recent standout dishes included fried Chinese eggplant, chilled carrot noodles and coconut ash maltagliati (entrées are $11 to $19). To complement the food items, Bad Hunter offers a drinks menu that emphasizes natural and biodynamic wines and low-alcohol cocktails. The wine list includes such labels as the 2013 Michael Gindl Little Buteo Grüner Veltliner from Austria and the 2014 Jolie Laide Rossi Ranch Grenache-Syrah from Sonoma ($10 to $16 a glass; $38 to $165 a 750-ml.). Meanwhile, cocktail offerings range from the Mermaid Water, comprising Plymouth gin, Dolin Blanc vermouth, Nardini Acqua di Cedro liqueur, Jack Rudy tonic syrup and fresh rhubarb, and the Riesling Rickey, made with Rhum Clément Première Canne, Richter Estate Riesling, house-made snap pea syrup and lime juice (cocktails are $12 to $15). “We engineered a menu that’s specifically geared to complement the food,” Eisler says. “We’re always focused on quality. We allow creative individuals to thrive and, with a healthy amount of direction, they have the ability to create anything." Beer dominates the drinks program at the Anglo-Indian tavern Pub Royale, a venue with an eclectic food program. The dinner menu ranges from lamb dumplings to coconut curry mussels with naan to tandoori-spiced wings ($6 to $18). The food is joined by a variety of beers on tap ($4 to $7) and several more in bottles and cans ($4 to $8), including Upland Brewing Co.’s Two of Tarts, Half Acre Beer Co.’s White Noise and WarPigs Brewpub’s Foggy Geezer. Cocktails are also varied. Pub Royale partnered with local Letherbee Distillers to offer several Letherbee Royale Cups ($9 each), drinks that mix Letherbee spirits and the company’s Royale Cup liqueur, a collaborative product made especially for the pub. These drinks are joined by a handful of other cocktails ($8 to $11), like the Frozen Mango Lassi, mixing Bacardi 8-year-old rum, fresh mango, paprika and yogurt. Upscale bar fare and classic cocktails reign at Barrelhouse Flat, while New American cuisine shines at Trench, Heisler’s upscale pub helmed by Michelin starred-chef Jared Wentworth. Trench’s menu ranges from foie gras mousse, rabbit pâté and buffalo sweetbread appetizers ($5 to $15) to confit octopus and seared scallops small plates ($14 to $17), and cornmeal-crusted catfish and Berkshire pork shoulder entrées ($15 to $26). 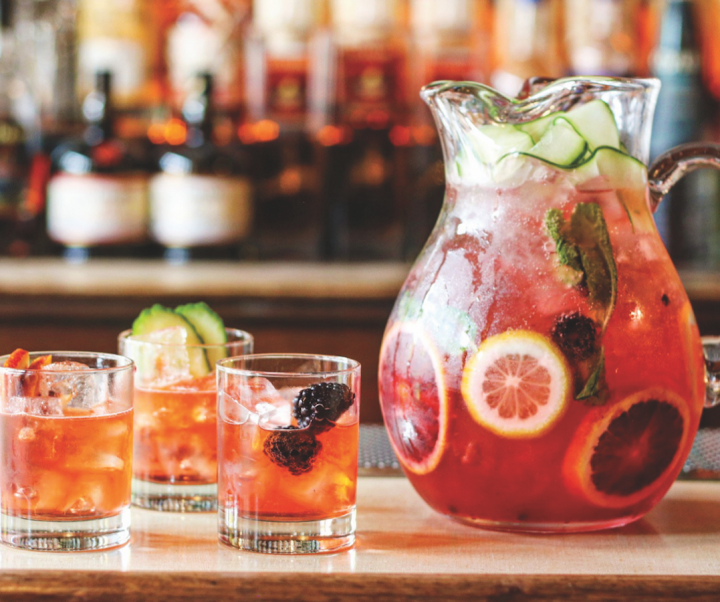 The venue has a diverse drinks program with draft and packaged beers ($4 to $8), classic cocktails ($8 to $14)—including a Tom Collins on draft—and worldly wines ($9 to $15 a glass; $35 to $125 a 750-ml.). Meanwhile, Barrelhouse Flat’s menu spans mac and cheese, steak tartare and poutine ($5 to $14), and is accompanied by one of Heisler’s most impressive cocktail programs. The concept lists drinks by their main spirit, offering sections for Bourbon and rye cocktails, as well as mixed drinks that highlight Scotch, gin, rum and other spirits ($13 to $16). The menu includes myriad classic and old-school drinks, as well as new creations like the Modern Cocktail #2, made with Cutty Sark Prohibition Edition Blended Scotch, Plymouth Sloe gin, Pernod absinthe, house-made orange bitters and grenadine, and the Burnt Fuselage, mixing Maison Rouge VSOP Cognac, Pierre Ferrand Dry Curaçao, Dolin Dry vermouth and house-made orange bitters. Barrelhouse Flat features one of Heisler's most notable cocktail programs, offering a wide range of classic cocktails alongside fresh creations. Heisler has a couple projects slated to open this fall, including a restaurant and a bar in the Google building on the outskirts of the West Loop. The restaurant, Regards to Edith, will be helmed by Barrelhouse Flat’s Wentworth and explore the depths of Chicago street food and other Windy City classics. Meanwhile, the bar, Prairie School, is a collaboration with cocktail guru Jim Meehan of New York City’s PDT. Details on Prairie School were limited at press time, but the bar is expected to offer an eclectic array of cocktails and an interesting interior design. Eisler says additional opportunities may be forthcoming and notes that he’s not opposed to branching out beyond Chicago, though nothing definite is underway. He adds that the company’s recent introduction of a corporate office and more structured hierarchy will help make future growth possible.